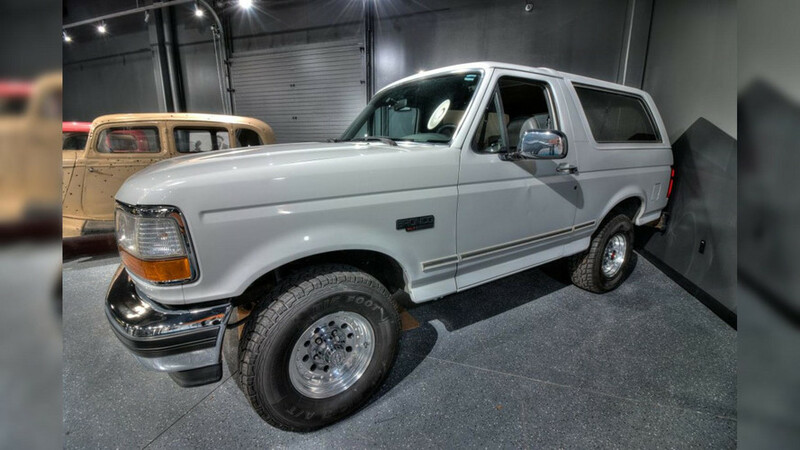 The white 1993 Ford Bronco from O.J. Simpson’s infamous low-speed chase on the Los Angeles freeway will soon appear on an episode of the History Channel show Pawn Stars that will premiere on August 14, 2017. The owner, Simpson’s former sports agent Mike Gilbert, won’t even consider an offer below $500,000, and he’ll reportedly look to get around $1 million for the ignominious SUV. A clip on TMZ Sports offers a look inside. Simpson and his friend A.C. Cowlings owned identical white Broncos, and it was Cowlings' example that took part in the famous chase. At the time, Simpson was in the backseat threatening to shoot himself. Later, Gilbert bought the SUV for around $75,000, according to Fox News. The Ford mostly sat in storage for decades except for few public exhibitions. “Not many people realize it’s for sale … and I just thought it was a really cool thing to put on the show,” Pawn Stars host Rick Harrison told Fox News. Gilbert previously said that he wasn’t actively trying to sell the Bronco and that he had already turned down an offer of $250,000 for the SUV. However, appearing on Pawn Stars suggests he might finally want to get rid of the notorious vehicle. With Simpson back in the headlines for getting parole, now could be the right time. For now, the Bronco remains on display at the Alcatraz East Crime Museum in Pigeon Forge, Tennessee (above). According the institution’s website, filming for the Pawn Stars episode happened before Gilbert loaned the Ford to the museum for display alongside other crime-related vehicles like serial killer Ted Bundy’s 1968 Volkswagen Beetle.